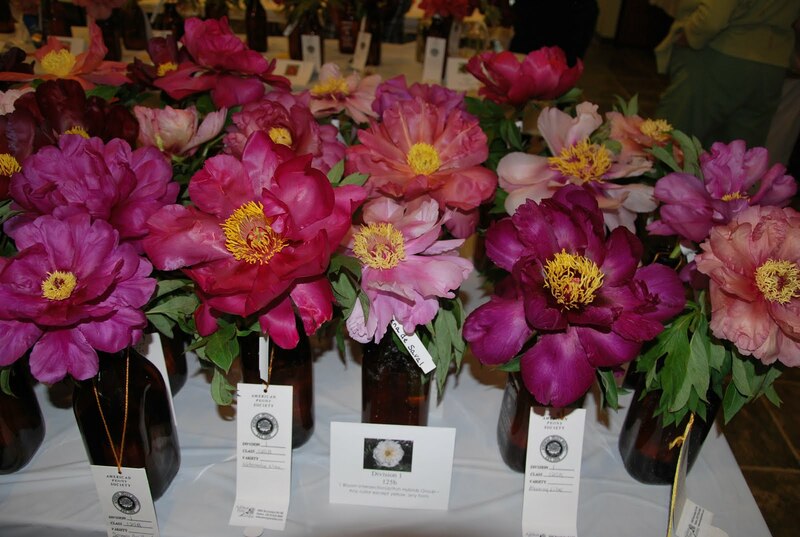 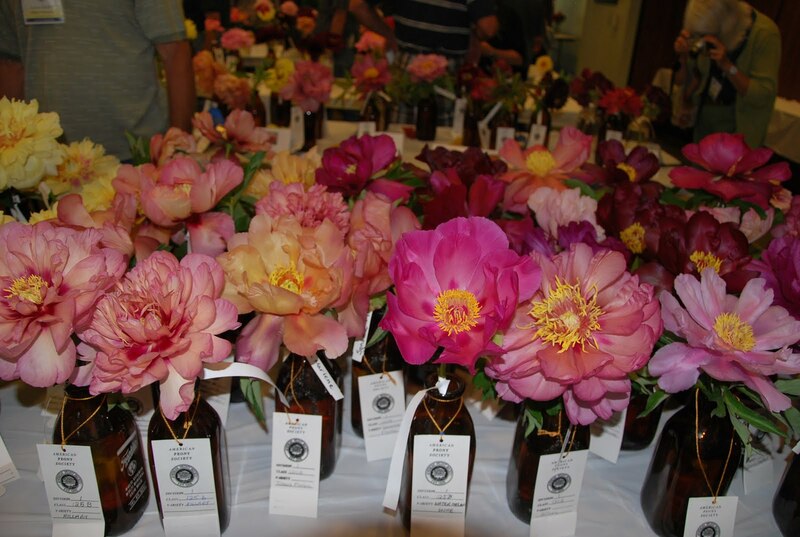 There were several intersectional peonies entered into the 2010 APS flower show. Only two of those made it to the Court of Honor. 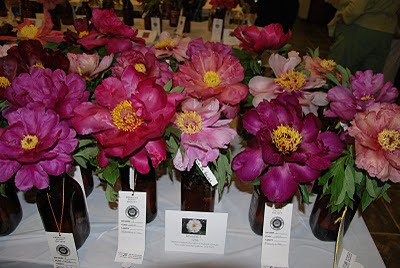 One of them was Peony 'Bartzella' (a yellow) which was the only peony entered by someone in the amateur division that made it to the Court of Honor, and the other was 'Love Affair' (a white). 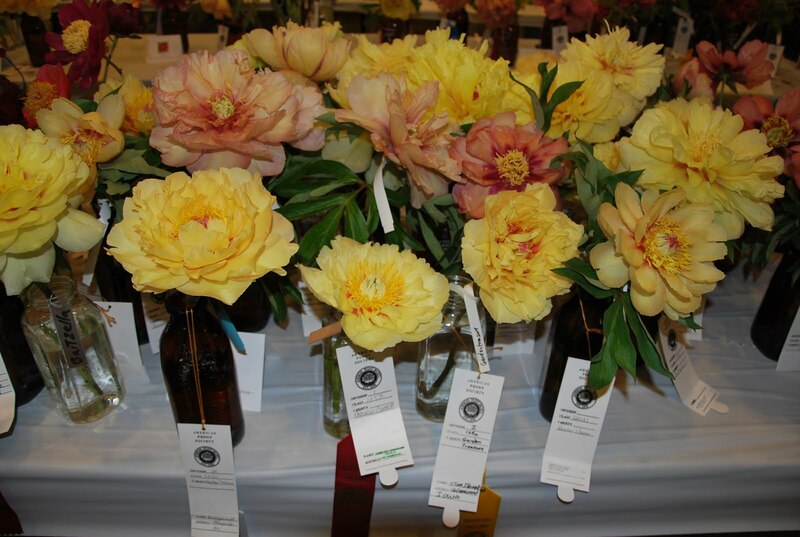 The competition flowers were beautiful, but I think their class can be much improved in beauty and form with future hybridizing efforts.